It might be challenging to find something to listen to in Ukrainian online. Not because it doesn’t exist, but because you have to know where to look for and Google in Ukrainian, not in English. So, I did the research for you 🙂 In this post, I offer you a couple of ways you can practice your Ukrainian with radio and links to good Ukrainian radio stations that will help you in your learning process. Ukrainian radio stations that you can find in your FM receiver are usually bilingual, as are the TV channels. 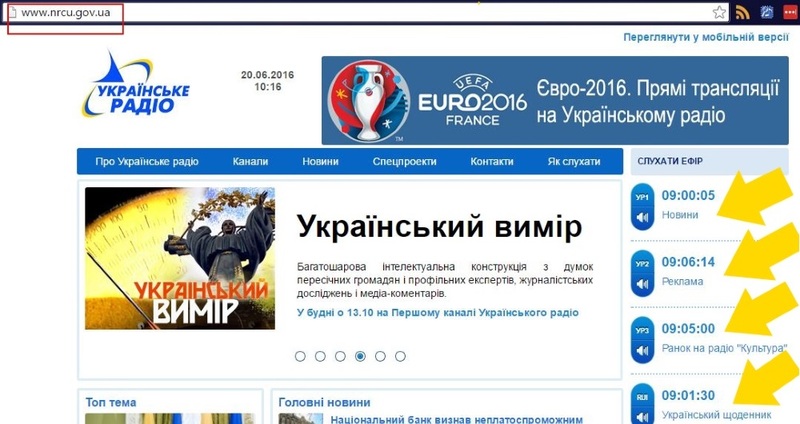 So, the news and advertisement will be mostly in Ukrainian. But other programs where people just chat with each other or have interviews with someone are bilingual according to the native language of the person who speaks. It is very common, for example, for the morning shows to have 2 presenters: one Ukrainian-speaking and one Russian-speaking. Also, it’s common that during one interview the questions and answers are in different languages. Yes, I realize how challenging it sounds for you. But you can use those programs as a listening exercise to practice distinguishing Ukrainian and Russian, noticing what particularities Ukrainian has compared to Russian in pronunciation, intonation, and vocabulary. This is a very important skill you should acquire if you plan to come to Ukraine and communicate with people. Although, for the purposes of learning pure Ukrainian I’ve selected for you the resources of only Ukrainian-speaking radio stations. Let’s have a look and listen! 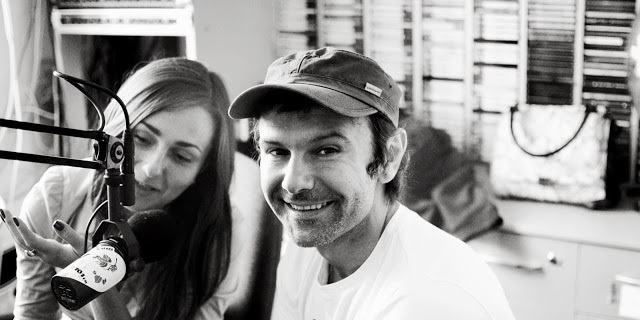 Hromadske radio is an independent radio station with the latest news, analytics, and interviews. 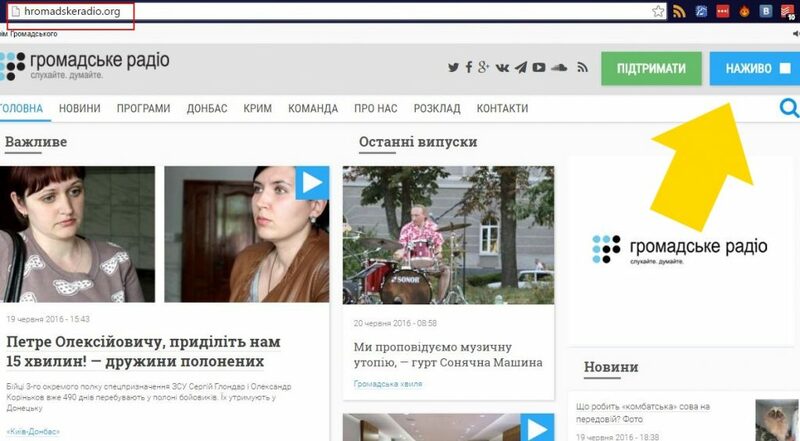 The team is non-profit, with the aim to give Ukrainians news without the influence of any political power. To listen to the radio live, press НАЖИВО (LIVE) or choose a recorded program of your interest. Check out their schedule of programs for the day and week. 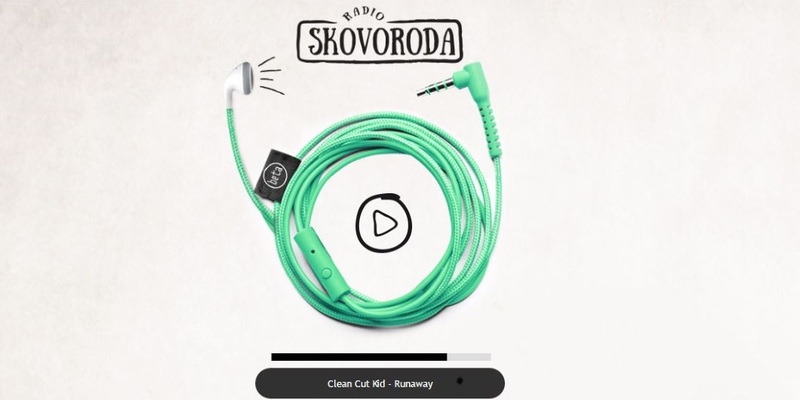 Hromadske radio also offers podcasts of their programs: at the website, on SoundCloud, at iTunes and with TuneIn Radio application (you can download the app for iOS or Android and look for «Hromadske Radio»). Check out also Hromadske TV. Українське радіо (Ukrainian Radio) is a national radio station that has been a part of people’s homes for years. It’s not so popular among young people anymore, but when we visit our grandparents, for example, the sounds of Ukrainian radio instantly bring us childhood memories. “Ukrainske radio” might be a little bit old-fashioned and not always fun, but it’s very good for those who are learning Ukrainian. 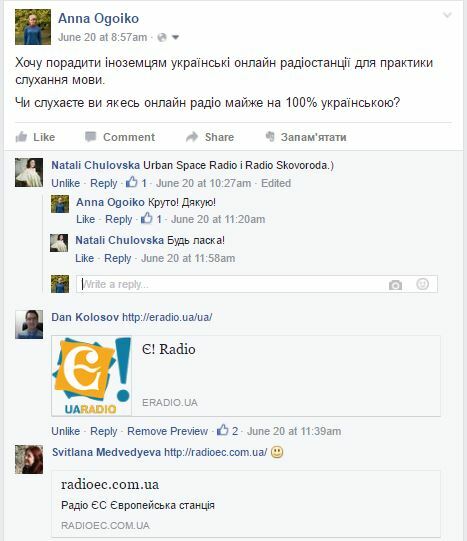 First of all, it is national radio, so it is only in Ukrainian. Secondly, its language is very correct and refined, the speaker’s voice (especially at the hourly news program) is very clear. Also, its programs contain a lot of cultural information, traditional Ukrainian songs, etc. The channel contains informational and musical programs, news about the most important events in Ukraine and abroad, programs on social, political, cultural topics, programs for children, etc. This is considered to be the youth channel, also with informational programs and news as well as with programs about music and art. All about culture – literature (like readings and interviews with authors), theater (it has radio performances too), art, entertainment, etc. It’s a channel mostly about news and politics in Ukraine, as well as being for the Ukrainian diaspora. Looking for more listening experience in Ukrainian? Subscribe to our free Ukrainian Lessons Podcast here to hear many authentic Ukrainian voices! Are you interested in music? Learn the names of musical instruments with our colorful infographic here! This is a great project from Ivano-Frankivsk. Urban space radio plays Ukrainian modern music (indie-rock, alternative, pop) and features programs about urbanism and city development. Go ahead and check their Facebook page to find out when the next talk show or program is scheduled. This is also a new modern online radio. It is from Lviv and it plays modern Ukrainian and foreign music. For example, you can often hear such Ukrainian bands as ONUKA, Океан Ельзи, Джамала, Крихітка, Pianoбой, etc. The name of the station “Skovoroda” is the last name of an important Ukrainian philosopher from the XVIII century Григорій Сковорода who had the life of a nomad. This Radio is considered to be “the traveling station” too, as from time to time they broadcast from unusual places, such as cafés or shops. EU Radio European Station is Ukrainian pro-European radio. It has daily news and talk shows about Europe and the integration of Ukraine into Europe, but mostly it’s a music station; lots of music is European hits and Ukrainian music in Ukrainian and English languages. If you are looking for a station only with music in Ukrainian (not even a word in English! ), this is a place for you. It’s just music and it’s mostly pop. Maybe you will discover your favorite Ukrainian bands there! This radio is created by Ruslana, a famous Ukrainian singer and the winner of Eurovision-2004. She wanted to make a radio station with quality Ukrainian music, which would be creative and currently central. It is a project, which brings Ukrainian music to Ukrainians without limits and in a friendly way. Do you have a favorite Ukrainian radio station? How do you practice listening to Ukrainian while learning? Please share with us your resources in comments, it would be very helpful for the community of Ukrainian learners.